Chinese e-commerce giant Alibaba is investing US$320 million in Thailand as the company aims to tap Chinese consumers’ appetite for the Southeast nation’s agricultural goods and for its tourism market. 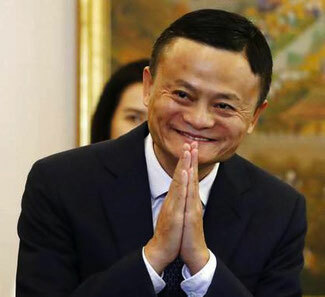 The company’s founder Jack Ma earlier this month signed a wide-ranging agreement to establish a "Smart Digital Hub" in Thailand - the second such initiative in Southeast Asia - following a similar pact in Malaysia, which will connect to Alibaba's “e-hub” in its home city of Hangzhou. Under the agreement, Alibaba will work with Thailand on everything from boosting efficiencies in trade to educating Thai entrepreneurs and SMEs in digital commerce. The partnership will give Thailand access to technologies and processes that can help advance its economy, while Alibaba gains a stronger foothold in an important market in Southeast Asia. The new “Smart Digital Hub,” which will be located in Thailand’s all-important Eastern Economic Corridor, will leverage technologies from Alibaba and its logistics platform, Cainiao Network, to streamline trade between Thailand and China and other markets, including digitising customs processes. Groundbreaking is expected this year and the zone will be fully operational next year, Alibaba said in a statement. Alibaba-backed Lazada is already present in Thailand and is one of the most popular e-commerce businesses in the nation of 69 million. Speaking in Bangkok at the signing ceremony, Ma, in a clear reference to the ongoing trade war threats by U.S. president Donald Trump, once again warned all parties to step back from the precipice of an all-out battle over tariffs. Ma also said Alibaba envisages to set up several hubs across the world that will together make up an electronic world trade platform (eWTP) complementing the World Trade Organisation framework. Users of the hubs will enjoy minimal tariffs, speedy customs clearance as well as state-of-the-art logistical support.